As a worship leader, I familiarize myself with different genres of music, specifically as it pertains to Christian praise and worship music. Growing up in the Southern Baptist Church, we sang out of the hymnal and really cherished the beautiful hymns, some spanning several centuries. I love the stories and inspirations of many of those beautiful hymns, and many were literally scripture and scriptural lessons brought to life through music. As a pianist, I learned many of them with block chords and very little variance from the familiar way of performing them. Some of my personal favorites were It is Well with My Soul, Great is Thy Faithfulness, In the Garden, The Old Rugged Cross, Amazing Grace, and of course I Surrender All and many of the altar calls. I remember many services that my mother played for (and her mother, and my father's mother), were usually thematically based and usually determined by the Pastor's sermon or his monthly message series. I loved the Easter Cantatas and the Christmas plays and Children's programs which delighted the parents and were seasonal highlights. This is my foundational understanding of the role of praise and worship music in the Church. I am reminded of David's praise and worship ministry and legacy. As you study the Psalms, many were set to different themes, using specific instruments and styles of cadence and familiarity of the day. David even created specific instruments for his worshipping priesthood to bring alive these verses of poetry set to music, even assigning specific fathers to lead their sons in the cymbal, or with voices, or cymbals, you get the idea. You can read the entire account in 1 Chronicles 15 and 16. As I survey the landscape of today's Christian praise and worship music, I do of course have my favorites. I have chosen a few to illuminate several genres I listen to in today's contemporary scene. Consider this next scripture. Of course there is the high praise, which is usually demonstrated with upbeat music, and simple themes, either declarations or Exaltation to the Lord. One of my favorite songwriters and worship leaders is Israel Houghton with such incredible musicianship, more intricate rhythms or chord structures and usually simple themes. My favorites are Say So, I am a Friend of God, You are Good, and many others. A similar type psalm according to David is found in 1 Chronicles 16, with just a few verses here to illustrate. One of the pioneers of today's praise and worship is Hillsong (hillsong.com/united.html)and specifically Darlene Szchech (darlenezschech.com) with her most memorable Shout to the Lord, which I have personally sung probably a thousand times in worship services, if not at least a couple hundred! I do find their style of worship has progressed through the last two decades, many of their songs birthed from the Psalms of David and scripture, a modern hymnal of sorts. I could probably list at least a hundred of my favorites here such as Dwelling Places, Eagle's Wings, Power of Your Love, With All I am, Above the Heavens, and incredible praise such as You Deserve the Highest Praise and many others. These songs are beautifully and most simply written, which engages the listener to enter in easily. Another style of worship I would consider as 1st day songs are songs about salvation and the Cross. Chris Tomlin is an amazing and well renown songwriter with simple chord structures, mostly guitar led, as he is a guitarist, and evangelical in nature. Some of my favorites are Holy is the Lord, How Great is Our God, Amazing Grace, His Grace is Enough, and many others. I have also enjoyed watching his style develop and branch out into other themes, such as God of This City, Awake My Soul, and others. 2nd Day worship is what I would consider more spirit led in nature and employs more of the gifts of the Holy Spirit. It also employs many worship songs that don't necessarily take you all the way in. Many of these songs usually came from a supernatural move of God in revival settings such as the Brownsville Revival and others. Usually these revival songs are specific to what God is doing. That particular move of His Spirit or reflect the geographic or ethnicity in that demonstration. Some of these are Days of Elijah, Revival, Garments of Praise, and Be Unto Your Name from the Northern Ireland region, featuring Robin Marks' (robinmark.com) Irish flavor and instrumentation. I also enjoy the worship of Paul Wilbur (wilburministries.com) rooted in Jewish melodies in minor keys and gorgeous orchestration. Some of my favorites are Praise Adonai, For Your Name is Holy, Dance with Me, Let the Weight of Your Glory Fall and other Jewish praise and dance songs of exuberant joy. His music actually depicts what I would consider 3rd day worship, which is about entering the Holy of Holies and Throne Room Worship. This is reminiscent of David's priesthood ministry that regularly worshipped in front of the Ark in the Tabernacle of David. These songs usually are vertical in adoration and loving worship and accompanied by the Presence of God. 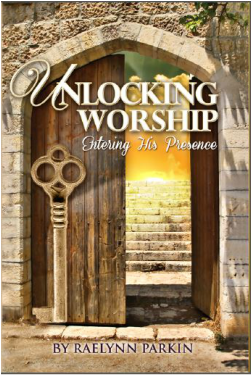 This worship takes the listener into a deeper realm of personal worship and intimate encounter with the Lord. This should be the goal of every worship leader, which is to open the door and usher the Body of Christ into this inner sanctum. I have my favorites that take me in, such as Oh the Glory of Your Presence and I Worship you Almighty God, to name a few. Terry McAlmon (terrymacalmon.com) is who I would consider a pioneer and a father in this realm of Throne Room worship, with my personal favorites Even So, How Long, and Holy are You Lord. Consider Moses and his relationship with God. This is a vertical worship with direct encounter and conversation with the Lord. I believe you cannot touch the Lord with your worship that He does not overwhelm you with His many faceted character! If He is all we need, then why are we not spending more time allowing Him to come close and linger with us? After all, they are His People and He knows exactly what each person needs! Coming before Him with the express longing to meet Him and seek His face instead of coming to get something from His Hand welcomes Him to come and overwhelm you and meet your every need! He cannot help Himself, He loves His People so much! The best thing I could do as a worship leader is open the door and usher you in to meet the One who is Truly Your Answer, Jesus Christ! As you can probably tell, this is where my heart is, which is to see people come before Him as they are, and leave completely changed and undone in His Presence! My destination in worship is the Holy of Holies, the very Throne Room of Heaven! There are many other beautiful expressions of worship which are emerging for the younger generation of worshippers, such as Bethel Music (bethelmusic.com), Jesus Culture (new.jesusculture.com), Kari Jobe (karijobe.com)and Hillsong United. These are usually simpler in their chord structures, more have U2 (u2.com) style ethereal guitars and simple keyboard arrangements, and simpler lyrics to help the listener to engage and press in. Too many favorites to exhaust here, but I love Revelation Song and Healer with Kari Jobe, Break Every Chain, Freedom Reigns, Set a Fire, and Show me Your Glory with Kim Walker (new.jesusculture.com/artists/kim-walker-smith). Some of my new favorites from Bethel music are You Make me Brave and Deep Cries Out. Hillsong United favorites are Oceans, Mighty to Save, The Stand, and many more. Beloved, My Love, My Life. These are ponderings I have been thinking about and have enjoyed sharing my thoughts with you! This is merely to provoke further consideration and of course for you to pursue a deeper expression of worship and encounter with the Lord. If you would like to learn more, you can visit our website at bridesongministries.org or sample our music at RaelynnParkin.com. We have other teachings and invite you to join the conversation as well as partake of our worship books and worship CDs.